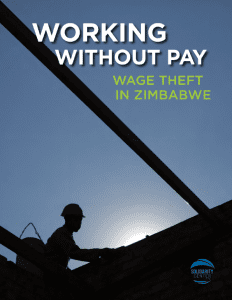 The Solidarity Center supports efforts by pro-worker groups such as the Zimbabwe Congress of Trade Unions (ZCTU) and its allies to ensure the implementation of workplace rights created by the country’s new constitution and the promotion of economic policies that provide shared prosperity. Zimbabwe’s ongoing economic and political turmoil has long included government intimidation and violence against trade unions and other civil society organizations. Union leaders and members are targets of violence, and unions face legal and bureaucratic attacks that essentially deny working people their fundamental rights to freedom of association and collective bargaining. More than 72 percent of Zimbabweans live in poverty, and the vast majority of the country’s more than 16 million people are not employed in the formal economy. Instead, they are forced to eke out a living in the informal economy or in subsistence farming, where wages are low and social support, such as sick pay and pensions, are nearly non-existent. Because reliable data is essential to developing economic policy that best serves the public, the Solidarity Center supports activities by Zimbabwe’s independent economic think tank, LEDRIZ (Labor and Economic Development Research Institute of Zimbabwe). 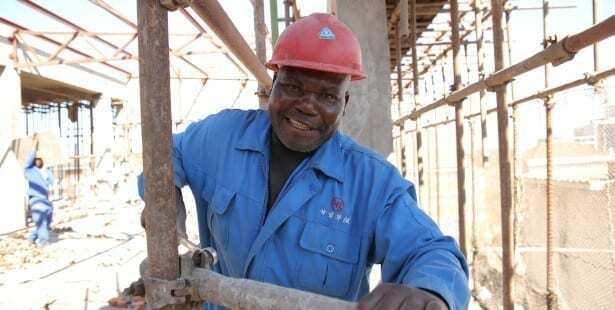 LEDRIZ provides trade unions with reliable information to take into collective bargaining negotiations with employers, and bolsters their advocacy efforts with state and local officials on behalf of the millions of Zimbabweans who struggle to earn a living. Beyond the Enclave: Towards a Pro-Poor and Inclusive Development Strategy for Zimbabwe, co-authored by LEDRIZ, looks at the contradiction of how a resource-rich country like Zimbabwe can suffer from endemic poverty, and proposes development policies formulated with broad-based stakeholder participation. Despite government intimidation tactics, the trade union movement, the largest and most vocal civil society organization in the country, continues to create space for independent action and dialogue, including promoting the rights of women in the workplace and in their unions. Zimbabwe’s new constitution, ratified in 2013, expanded the rights of women. To make those rights a reality, women must know how to exercise them at the workplace and in their communities, and the Solidarity Center supports training to educate and mobilize working women. Women also make up the majority of economically-struggling workers in the informal sector, and with Solidarity Center support, the ZCTU is developing strategies to organize these workers so they have a strong collective voice to champion their rights. The Solidarity Center will continue to provide program and institutional support for the ZCTU because ZCTU is best poised to help the country rebuild a foundation for a strong middle class in Zimbabwe.